I am back in action after a 2 week vacation in Italy. And I promise to blog more now that I am back. I’ll have some exciting announcements and things to discuss, but first I thought I would post a personal entry about my Honeymoon. My wife and I went to Italy for two weeks and traveled around to five different cities. 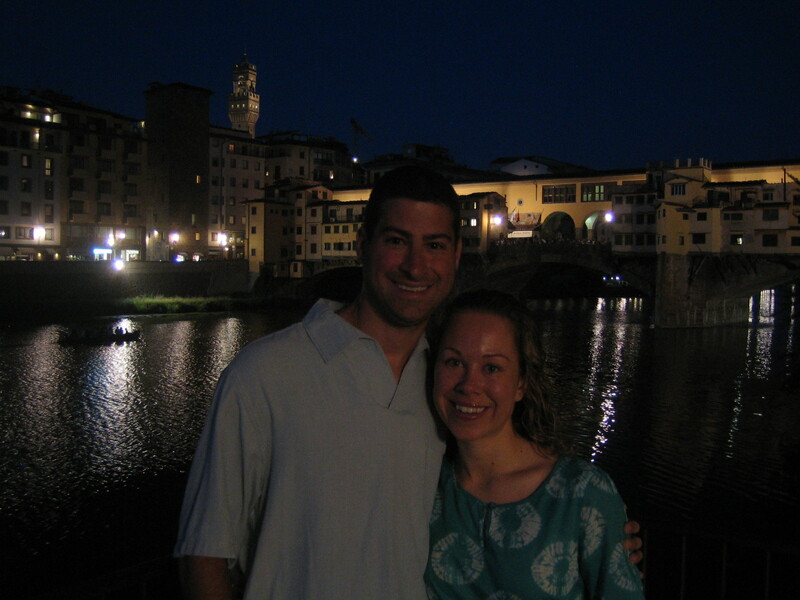 Here is a picture of us in Florence on the Ponte Vecchio bridge. While in Florence we visited all the sites, had some good meals, drank a lot of wine and went on a Chianti wine tour for a day. After Florence we went to Siena for three days. Siena was by far our favorite city. 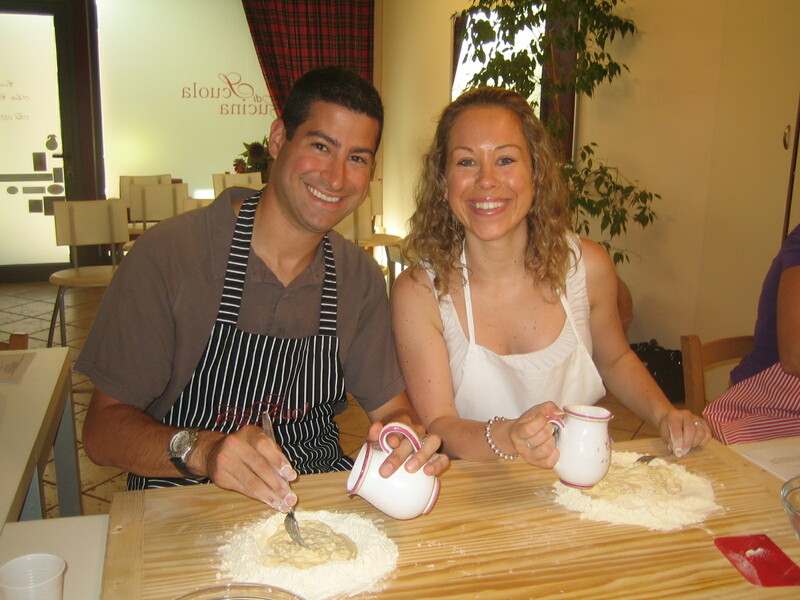 While in Siena we went on a Brunello wine tour and took a cooking class with Lella. During our wine tour, we ended up buying so much wine that the winemaker ended up giving us an autographed copy of his book! 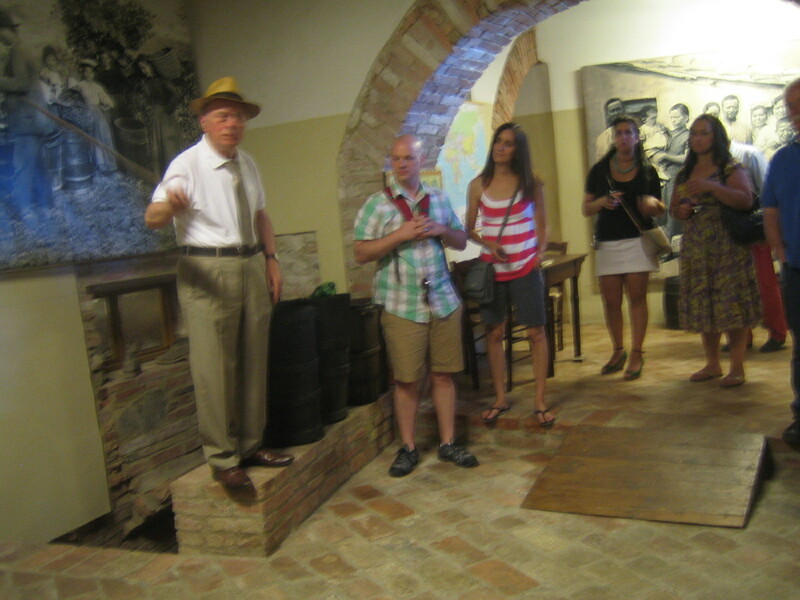 Apparently he is an expert on the history of the region, its agriculture and wine. After Siena we took a bus and train to Bologna. Unfortunately we didn’t have too much time in Bologna but spent the day walking around, drinking more good wine and eating terrific food outside. From Bologna we went to Venice for a few days. Venice was our least favorite city – too touristy, the city smelled, and it just didn’t seem like authentic Italy. It was hard to find a good meal and it seemed like everyone there was trying to sell you something or scam you. From Venice we went back to Rome and spent a few days there touring all the sites. It was very hot during our trip, mid 90’s, making it tough to spend entire days outside on your feet. We got back from our trip yesterday and although we had a fantastic trip, it is nice to be back in the United States. Aritecls like this just make me want to visit your website even more. Thank you for sharing these great pictures, my wife and I had an amazing honeymoon in Mauritius this year, we must get our photos online to share our experiences with our friends. Diving head first into entrepreneurship Do we want the world to get richer?